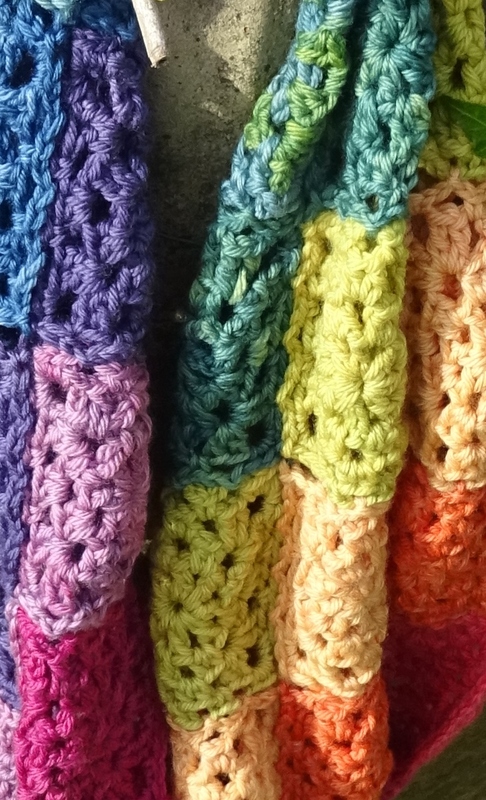 My rainbow stashbuster cowl has been published here and here. 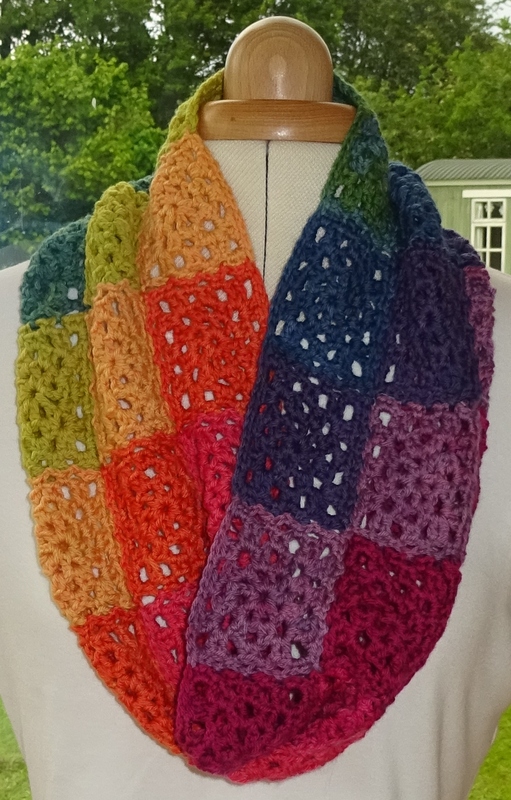 Whilst designed as a cowl, the motif can be used in anything and would be great in a blanket. It is a little addictive and very easy to join as you go. I used my leftover stash to make this – lots of colours of DK. But it would be perfect in any yarn.